For other uses, see Flower power (disambiguation). The Hells Angels Motorcycle Club (HAMC) is a worldwide one-percenter motorcycle club whose members typically ride Harley-Davidson motorcycles. The organization is predominantly white males and considered to be an organized crime syndicate by the United States Department of Justice. In the United States and Canada, the Hells Angels are incorporated as the Hells Angels Motorcycle Corporation. Common nicknames for the club are the "H.A. ", "Red & White", "HAMC" and "81". "The cry of 'Flower Power' echoes through the land. We shall not wilt. Let a thousand flowers bloom." The Bread and Puppet Theater is a politically radical puppet theater, active since the 1960s, currently based in Glover, Vermont. Its founder and director is Peter Schumann. Abbot Howard Hoffman was an American political and social activist, anarchist, and revolutionary who co-founded the Youth International Party ("Yippies"). Central Park is an urban park in Manhattan, New York City. 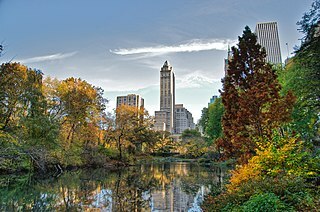 It is located between the Upper West Side and Upper East Side, roughly bounded by Fifth Avenue on the east, Central Park West on the west, Central Park South on the south, and Central Park North on the north. Central Park is the most visited urban park in the United States, with 40 million visitors in 2013, and one of the most filmed locations in the world. In terms of area, Central Park is the fifth largest park in New York City, covering 843 acres (341 ha). Jerry Clyde Rubin was an American social activist, anti-war leader, and counterculture icon during the 1960s and 1970s. During the 1980s, he became a successful businessman. Marc Riboud was a French photographer, best known for his extensive reports on the Far East: The Three Banners of China, Face of North Vietnam, Visions of China, and In China. The Beat Generation was a literary movement started by a group of authors whose work explored and influenced American culture and politics in the post-war era. The bulk of their work was published and popularized throughout the 1950s. The central elements of Beat culture are the rejection of standard narrative values, making a spiritual quest, the exploration of American and Eastern religions, the rejection of materialism, explicit portrayals of the human condition, experimentation with psychedelic drugs, and sexual liberation and exploration. The Youth International Party, whose members were commonly called Yippies, was an American radically youth-oriented and countercultural revolutionary offshoot of the free speech and anti-war movements of the 1960s. It was founded on December 31, 1967. They employed theatrical gestures, such as advancing a pig as a candidate for President in 1968, to mock the social status quo. They have been described as a highly theatrical, anti-authoritarian and anarchist youth movement of "symbolic politics". The Human Be-In was an event in San Francisco's Golden Gate Park Polo Fields on January 14, 1967. It was a prelude to San Francisco's Summer of Love, which made the Haight-Ashbury district a symbol of American counterculture and introduced the word "psychedelic" to suburbia. The Love Pageant Rally took place on October 6, 1966 — the day LSD became illegal — in the 'panhandle' of Golden Gate Park, a narrower section that projects into San Francisco's Haight-Ashbury district. The 'Haight' was a neighborhood of run-down turn-of-the-20th-century housing that was the center of San Francisco's counterculture in the 1960s. The Spring Mobilization Committee to End the War in Vietnam, which became the National Mobilization Committee to End the War in Vietnam, was a coalition of antiwar activists formed in 1967 to organize large demonstrations in opposition to the Vietnam War. The organization was informally known as "the Mobe". The counterculture of the 1960s was an anti-establishment cultural phenomenon that developed first in the United Kingdom (UK) and then the United States (US) and then spreading throughout much of the Western world between the mid-1960s and the mid-1970s, with London, New York City, and San Francisco being hotbeds of early countercultural activity. The aggregate movement gained momentum as the Civil Rights Movement continued to grow, and would later become revolutionary with the expansion of the US government's extensive military intervention in Vietnam. 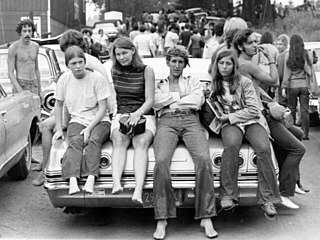 As the 1960s progressed, widespread social tensions also developed concerning other issues, and tended to flow along generational lines regarding human sexuality, women's rights, traditional modes of authority, experimentation with psychoactive drugs, and differing interpretations of the American Dream. Many key movements related to these issues were born or advanced within the counterculture of the 1960s. The Ultimate Confrontation: The Flower and the Bayonet is a photograph of Jan Rose Kasmir, at that time an American high-school student. This iconic photograph was taken by French photographer Marc Riboud. Riboud photographed Kasmir on 21 October 1967 while taking part with over 100,000 anti-war activists in the National Mobilization Committee to End the War in Vietnam's March on the Pentagon to protest U.S. involvement in Vietnam. Seventeen-year-old Kasmir was shown clasping a chrysanthemum and gazing at bayonet-wielding soldiers. The photo was featured in the December 30, 1969 special edition of Look magazine under the title The Ultimate Confrontation: The Flower and the Bayonet. 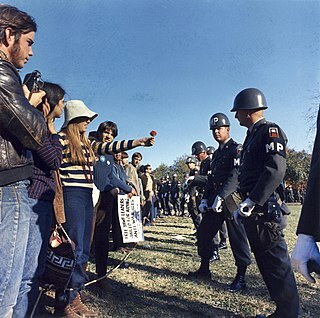 The photo was republished world-wide and became a symbol of the flower power movement. Smithsonian Magazine later called it "a gauzy juxtaposition of armed force and flower child innocence". The Love-Ins is a 1967 exploitation film about LSD that was directed by Arthur Dreifuss. 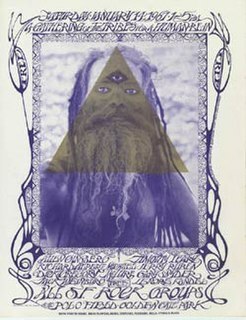 The Mantra-Rock Dance was a counterculture music event held on January 29, 1967, at the Avalon Ballroom in San Francisco. It was organized by followers of the International Society for Krishna Consciousness (ISKCON) as an opportunity for its founder, A. C. Bhaktivedanta Swami Prabhupada, to address a wider public. 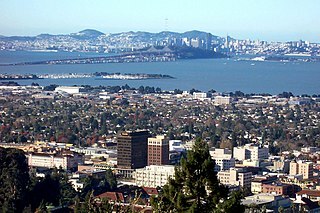 It was also a promotional and fundraising effort for their first center on the West Coast of the United States. Flower Power is a photograph taken by American photographer Bernie Boston for the now-defunct The Washington Star newspaper. Taken on October 21, 1967, during the National Mobilization Committee to End the War in Vietnam's "March on The Pentagon", the photo shows a Vietnam War protester placing a carnation into the barrel of a rifle held by a soldier of the 503rd Military Police Battalion. ↑ "Guide to the Allen Ginsberg Papers: Biography/Administrative History" (PDF). 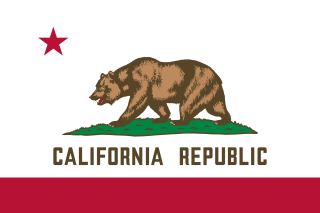 The Online Archive of California. Stanford University. 1997. p. 3. Retrieved 2011-09-21. ↑ Hyde, Lewis (January 1, 1985). On the poetry of Allen Ginsberg. University of Michigan Press. p. 264. ISBN 0-472-06353-7. ↑ Ginsberg, Allen (September 7, 2002). Family Business: Selected Letters Between a Father and Son. Bloomsbury. p. 241. ISBN 1-58234-216-4. ↑ Miles, Barry (August 28, 2005). Hippie. Sterling. p. 50. ISBN 1-4027-2873-5. 1 2 3 4 Jezer, Marty. Abbie Hoffman: American Rebel. Rutgers University Press. p. 115. ISBN 978-0813520179. ↑ Riboud, Marc. "Marc Riboud: Cinquante And De Photographie". www.marcriboud.com. Archived from the original on 2011-09-11. Retrieved 2011-09-21. ↑ Curry, Andrew (April 2004). "Flower Child". Smithsonian Magazine . ↑ Montgomery, Davis (March 18, 2007). "Flowers, Guns and an Iconic Snapshot". The Washington Post. p. D04. ↑ Silva, Hoaracio (August 17, 2003). "Karma Chameleon". New York Times Magazine. New York Times Company. Retrieved 9 October 2017. ↑ Krassner, Paul (January 30, 2008). "Tom Waits Meets Super-Joel". The Huffington Post. Retrieved 2011-01-24. ↑ Wiener, Jon (1991). Come Together: John Lennon in His Time. Urbana, Ill.: University of Illinois Press. p. 40. ISBN 978-0-252-06131-8. ↑ Edwards, Gavin (28 August 2014). "The Beatles Make History With 'All You Need Is Love': A Minute-by-Minute Breakdown". rollingstone.com . Retrieved 11 March 2017. ↑ "2004 Lifetime Achievement Award". Cooper-Hewitt National Design Museum. National Design Awards. Archived from the original on 2010-12-15. Retrieved 2011-03-17. ↑ Hoffman, Frank W.; Bailey, William G. (August 1990). Arts & Entertainment Fads. Haworth Press. pp. 163–164. ISBN 0-86656-881-6. ↑ Riley II, Charles A. (2002). The Art of Peter Max (1st ed.). Abrams, New York. pp. 228–235. ISBN 0-8109-3270-9.